Ever since Fish School opened, all my friends seemed to want me to take them there... so it's not surprising that I find myself away from Neighborhood for the last couple of months. When a previously arranged dinner with My Favorite Cousin kinda fell through, she insisted demanded suggested that we go get some white truffles at Neighborhood. So off we went. Autumn vegetables / spiced chick pea puree - it's been a while since I last had this, and I really do like the "hummus" that came with the veg. Really, really delish when I put it on the sourdough bread. Agnolotti dal plin - made with veal and chicken inside. With truffle on top, which is always a perfect match. Love the sage butter. Risotto with crab - an off-menu item that we were suggested to take in lieu of the bone marrow risotto. Made with zucchini, celery root, crab meat, and garnished with zucchini flowers. And of course we had to shave a ton of truffle on top. Pretty good. And good with truffle, too, as was suggested. Daily fish "bouillabaisse" - this bouillabaisse looks pretty good, with a thin slice of sourdough bread on top, with some cheese shavings and a sprinkle of piment d'espelette. The fish below the sourdough? Surprisingly, it was tilefish. Or amadai (甘鯛) for those of you in the know. And of course the amadai was done with crispy scales. As for the bouillabaisse itself, it tasted as good as it always had here... although I do miss the old days when I could order a huge cocotte of it at On Lot 10, filled with premium seafood. 60-day + dry aged "Casina Asturiana" ribeye - I had reserved this earlier today while confirming my reservation. It's been a long time since I last had some good Spanish beef, and I figured Hello Kitty wouldn't mind some beef tonight. This was a different breed from my old favorite Rubia Galega, and at 8 years or older, the animal is a few years younger than the 12-year-olds that I used to love. But the beef still had that chewy texture to it to show that it wasn't from just any 2- or 3-year old youngster. There was also a lot of flavor here, although maybe not as much as the Rubia Galega that was aged for 120 days. My Favorite Cousin complained about the amount of effort she spent trying to slice the beef, and also told me that her jaws hurt from trying to chew the meat. Well, yes, this beef did require extra effort, but I loved it. Oh and the crunchy, cheesy macaroni at the bottom was damn good, too. Chocolate palette - of course we had to order this when we have a chocolate fiend in our midst... Still very rich and sinful. Vanilla ice cream with white truffle - yes, we did save some of our white truffle for this. Simply the best, EVA. We brought along two bottles to go with our dinner, figuring that we can pop open the cheap-and-cheerful Aussie while we wait for the Barolo to open up and accompany the white truffle. 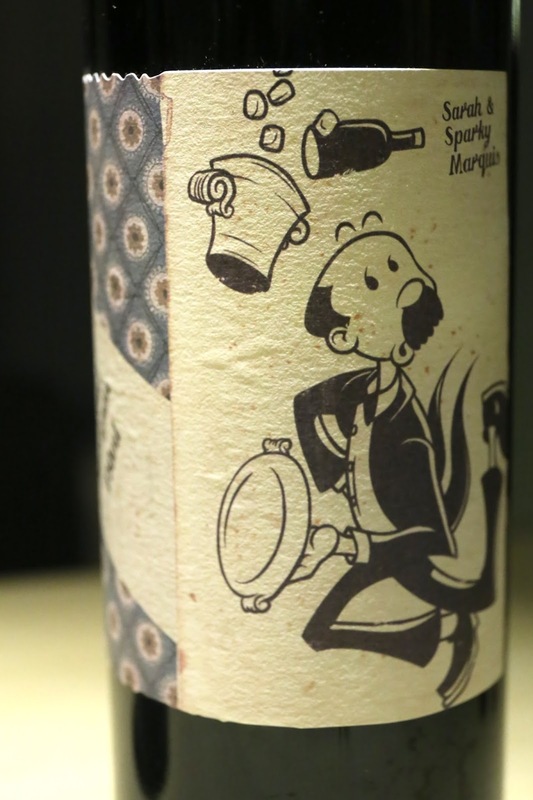 2006 Mollydooker Cabernet Sauvignon The Maitre D' - a little bit alcoholic, sweet on the palate. 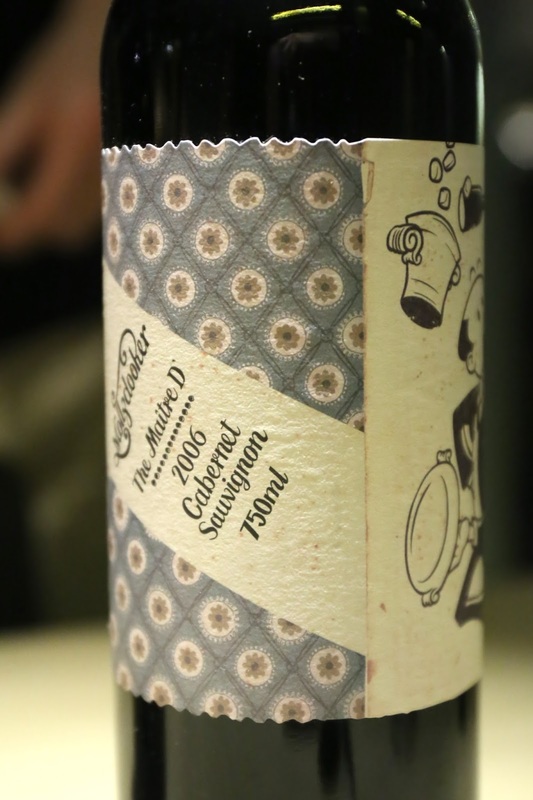 Almost a little oaky on the nose. Very easy to drink. 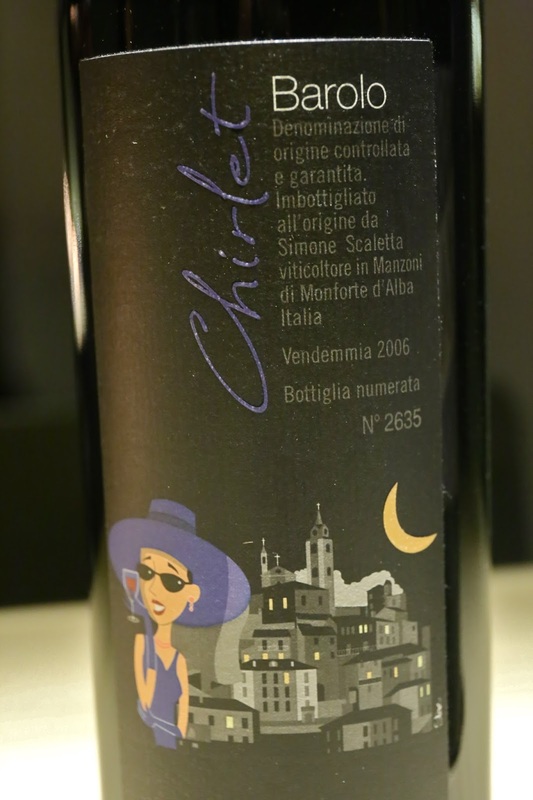 2006 Simone Scaletta Vigneto Chirlet - a little more smoky with higher acidity on the palate.